Adventure is endless in a land where the sun barely sets in the summer months. 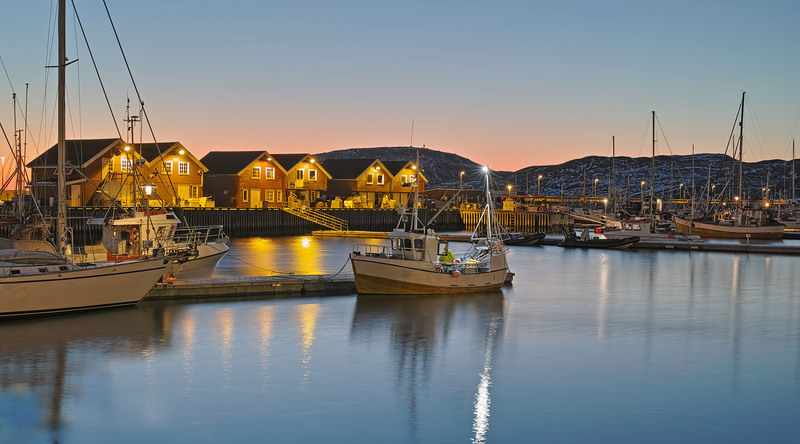 Just north of the Arctic Circle, Bodø is one of Norway’s fastest growing cities, full of urban excitement while remaining deeply connected to its rich natural surroundings. It’s home to a diverse community of artists all keen to capture such amazing seaside splendor, a lively music scene, and ample shopping opportunities. Bodø’s main attractions come courtesy of Mother Nature. Saltstraumen is the world’s strongest tidal current and its waters are a haven for fishing and diving enthusiasts. Hop in a rigid inflatable boat (RIB) and cruise around the swirling maelstrom, as 400 million cubic meters of water pass through this straight that’s just 150 meters wide. Climb the stone steps to the top of Keiservarden plateau for a bird’s eye view of the city and sweeping 360-degree views of the Lofoten Islands. Experience life on the edge of the earth at Kjerringøy. This trading post community looks just as it did in the 1800’s and you’ll see stunning landscapes everywhere you look. The sheltered harbor is surrounded by a chain of postcard-worthy islands, and has been the backdrop for many Norwegian films. From white-sand beaches to marvelous mountains to sweeping farmland—this is the escape you’ve been searching for. Explore Norway’s aviation history at this expansive and engaging museum. See restored aircraft like the Spitfire, CF-104 Starfighter, and the famous U-2 spy plane, or try your hand at flying a fighter jet in the flight simulator. The second largest glacier in Norway, Svartisen’s deep blue ice works in both harmony and contrast to the lush greens of the surrounding forest. Head out on an ice trek or go below ground and explore a vast network of caves. Bodø boasts the world’s largest population of these majestic sea birds. Take to the waves on a rigid inflatable boat (RIB) and set out on Saltstraumen for an unforgettable bird watching adventure.